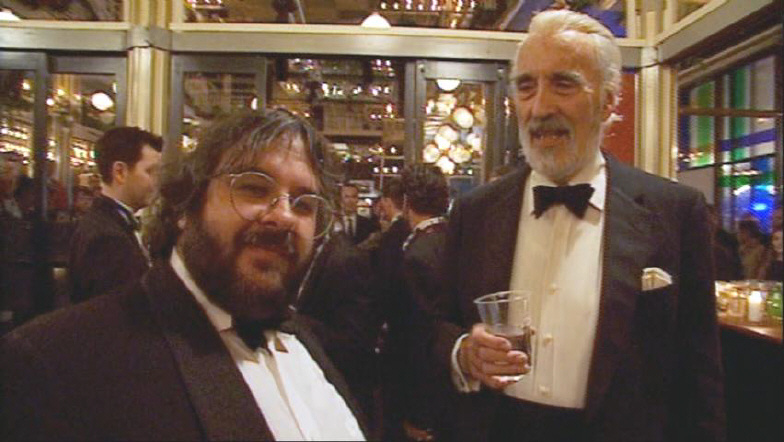 Christopher Lee: "Peter, it is a good thing you added more of my footage to the EE. I may have to use "The Force" on you to do something really stupid like the way your grinning at that camera." Peter: "Whatever is he going on about? Just keep smiling!" "Cut another second of my performance out and you'll find out what powers I REALLY have, you fat hobbit!" PJ: "So this is a death eater?"